World Book Day – why dressing up gives children a great access point to learning. World Book Day is just around the corner. Taking place on the 3rd March across the United Kingdom, the likelihood is that your child’s school is already preparing some kind of event. In anticipation of the day, millions of children will prepare to get their favourite fancy dress outfits out of the cupboard and show them off in front of their classmates. At Genie Tutors, we think this opportunity is not only great fun for kids and parents, but the very act of dressing up as your favourite book character is a great opportunity for kids to really embrace the joy of reading and learning. One of my own fondest memories at primary school is of World Book Day. I managed to win the £5 voucher for best costume, my mother’s brown double breasted overcoat drowning me and my large, curly black wig itching on my way up to collect the prize. I was dressed as Hagrid from the Harry Potter series, and while winning the prize was a nice bonus (£5 at the time was an incredible amount of money! ), the real reason this day stands out is because I was able to interact with literature in a way I never had before. Being the tallest in my class, I had always felt an affiliation with the half-giant Hagrid, a character often judged solely on his size. Being able to become that character really helped develop my understanding and interest in him and in the series of books more widely. In the modern world of flashing screens and infinite distractions for young children, the act of dressing up as a favourite book character is a fantastic and interactive way to get children involved in reading. Bringing the characters to life in such a vivid manner allows your child’s favourite books to become more enticing than they ever have been on paper alone. Furthermore, the classroom experience of having groups of children all dressed up collectively also helps develop the learning experience on World Book Day. At Genie, one of our core philosophies is that children learn more effectively when they are able to bounce ideas off each other to reach a goal. By dressing up and going to school, the children are almost definitely going to talk to other pupils about their favourite books. They’ll talk about why they dressed as the character they did and why other children should read the book they’ve chosen. Children are bound to expand their boundaries when Long John Silver talks about the parrot on his shoulder, or when Charlie talks about his sparkling golden ticket. Being able to learn from one another in an authentic and enthusiastic environment should give many children a reinforced urge to read and continue learning. This is why we at Genie Tutors love World Book Day. It is not only a day to raise awareness, the day has effects on children’s development and enthusiasm to progress some of their core learning skills. So when you’re ruffling through the back of your wardrobe for the perfect accessory to your child’s costume, don’t sigh. 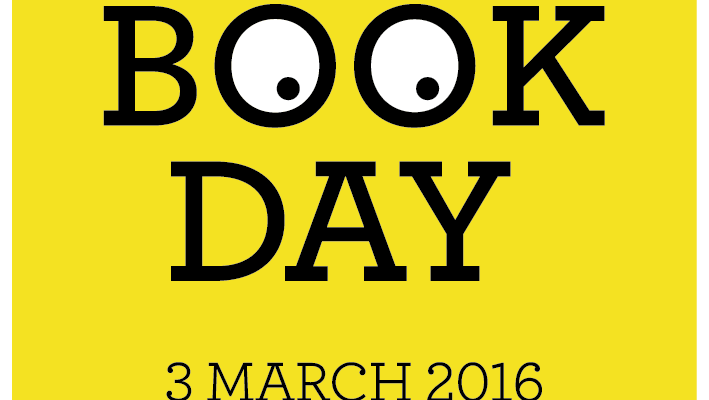 Instead, embrace World Book Day, because it represents a fantastic learning opportunity!